I was slightly upset that they came in a box marked "THE GALLERIST" which almost ruined the surprise when it arrived, but I was very happy that you stocked this AND the game. Thank you Philibert! 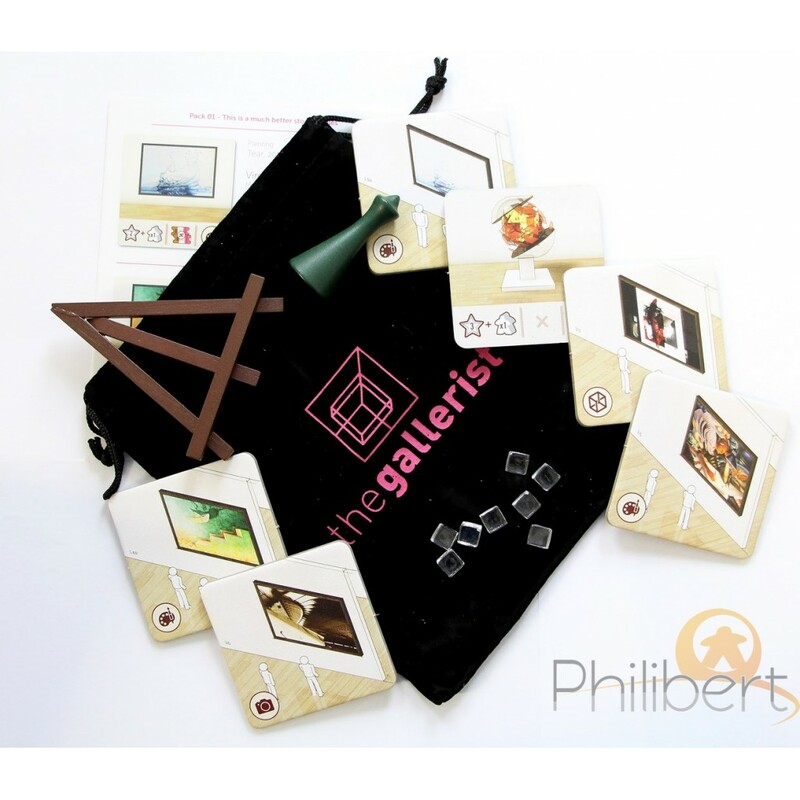 Perfect to expand your Gallerist game to the KS edition. The Gallerist is a great game. However, this pack of stretch goals from the Kickstarter is only for diehard fans of the game. It doesn't add anything significant.